Gary, congratulations on an absolutely amazing 2017 season, to win an Angler of the Year title is a tough task and you did it in 2 very tough divisions.. I was born and raised in San Jose, CA. I’m a recently retired plumber and I am in the process of moving from California to Franklin, TN with my wife Doreatha. We have one daughter Amanda, that is living in Portland, OR. 2. As a Co-Angler you have no control of the boat, do you still prefish before a tournament, and if so what are you looking for? Yes, I prefish with Jimmy Reese before every Tour event. We work well as a team as Jimmy focuses on locating fish and determining what phase they’re in. I try to fish different baits and dial in the best presentation. 3. What advice could you give to other Co-Anglers or even non boaters in a team tournament to help them put fish in the livewell? Don’t be afraid to try different presentations such as size and colors of baits or to look for different angles to present your bait. 4. What is one mistake you see a lot of co-anglers make? Trying to compete with the guy in the front of the boat. You need to pay attention to how and where they are targeting their fish but ultimately you need to be able to catch your own fish. So if what they are using isn’t working for you then you need to adjust. 5. Fishing the FLW tour, your seeing a variety of different water all across the country, is there any bait that you have rigged at every or almost every tour stop? I have three, the Yamamoto Senko wacky rigged with a Wacky Saddle. Two baits from Frenzy, The Nail and the new Wack-A-Sack both teamed up with a Yamamoto Pro Senko or California Roll. 6. 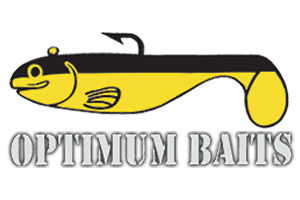 Follow up on the bait question, how much tackle do you travel with and how much tackle do you take on a boat, how many rods? I travel with two to three bins of tackle and this is for the entire season. As far as on the water, I take one tackle bag and 7 Powell Rods on the boat (FLW limits you to 7 rods). 7. What do you think are your strengths as a Tournament fisherman? Being Versatile. Fishing in California we have deep clear reservoirs, natural lakes and tidal rivers. It forces you to be versatile in order to compete. Another thing is I don’t let the boater get in my head, I fish to my strengths and as instinctively as possible. 8. What do you think are your weaknesses as a Tournament fisherman? Like a lot of other anglers sometimes I get caught up in yesterdays pattern, and I stick with a pattern too long. 9. The travel to compete in several divisions of FLW is tremendous, how does all the travel affect you? After a tournament I’m usually wiped out for a few days. I usually don’t fish other than the tournaments so it gives me time to recharge and prepare for the next event. 10. With the success of the Western Anglers on tour, is there any talk of FLW bringing the tour out west? Unfortunately, there has not been any talk of the Tour going out west. 11. What other Anglers do you look up to? I look up to a lot of the western pros but Jimmy Reese and Greg Gutierrez are good friends of mine and have taught me a lot. 12. What’s your favorite lake and why? As a tournament fisherman I really don’t have a favorite lake. I like the challenge of fishing different venues and it tests the anglers to be a well rounded fisherman. As far as fun fishing I like Lake Shasta because 100 fish days are not uncommon and you can’t beat catching those big northern Smallmouth on the 1000 Islands and Lake Champlain. 13. What is your favorite technique? Whatever the fish are biting best but its hard to beat a topwater. 14. With fall coming on, what would you be doing to catch fish at Shasta right now? Traditionally fall is time for top water and a couple of cool baits that work great are the Duo Reallis Popper 64 and the Duo Pencil 110. The Frenzy Baits Nail with a Yamamoto Pro Senko is not only good for numbers of fish but it is also a big fish bait too. 15. What’s the biggest bass you’ve caught and where was it? I’ve caught two bass that weighed 10 lbs and those were caught on Clear Lake with a Yamamoto D-Shad and the California Delta flippin’ a Black&Blue Jig with a matching Yamamoto Flappin’ Hog trailer. 16. How did you get your start in bass fishing? As a kid my father would take me fishing for Striped Bass and Salmon. I was in my late 30’s when I wanted to learn how to bass fish. I didn’t know anyone that fished for bass, so I decided to buy a bass boat and figured that would force me to go out and learn. Not long after I met Jay Liu and started fishing with him and then later with Howard Hughes. Those two fishing gurus helped build my bass fishing knowledge. 17. How much if any, do you think Luck plays a part in fishing? I believe there is some luck in fishing but if you look at the top anglers and how consistent they are you just can’t get lucky that many times. 18. What knot do you use the most? On my spinning rods I use a braid to leader set up and the knot I prefer is the FG knot. As far as attaching my hooks and lures with a direct connection, I use a Palomar knot it’s simple fast and strong. 19. Do you still use monofilament for any technique? Yes, sometimes on topwater baits that have a tendency for the line to tangle with props or hooks. I also like to use mono for my deep to moderate crank baits, it just allows for a little more stretching in the line so the hooks don’t pull out. 20. What’s your future fishing plans? fishing some of the BASS Opens and Costa FLW events. 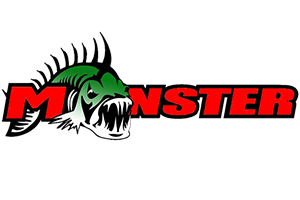 Gary’s sponsors are Gary Yamamoto Custom Baits, Powell Rods, Top This, Frenzy Baits, Duo Realis and Gemini Jerseys.